Himachal Pradesh had an overall monsoon deficit of 26 per cent this year which MeT department officials said has become a regular phenomena since 2004. Against a normal rainfall of 843.5mm, the state received 623.9 mm, which is a deficit of 26 per cent, they said, adding since 2004 the state has been receiving significantly less rainfall. In 2007 and 2009 the deficit was 34 per cent and in 2004 it was 46 per cent. Barring 2010, when the state received 13 per cent excess rains, the deficit was 11 per cent in 2011, 15 per cent in 2012 and seven per cent in 2013, officials said. 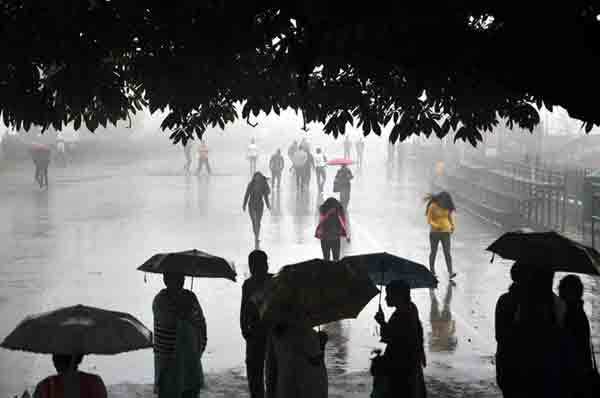 MeT official said the south-west monsoon has withdrawn from most parts of Himachal Pradesh, Jammu and Kashmir and Punjab, and from some parts of Haryana, Chandigarh and West Rajasthan. The deficit was highest at Lahaul and Spiti district at 78 per cent. The district received 102.7 mm rainfall against a normal 458.2 mm. While deficit at Kinnaur was 57 per cent, Chamba 56 per cent. Normal rainfall was recorded at Bilaspur (833.5 mm), Hamirpur (996.4mm), Kangra (1350.9 mm), Kullu (563.4 mm), Mandi (1046.5 mm), Solan (898.9 mm), Una (819.3 mm), and Shimla (649.2 mm) districts. In 2015, south-west monsoon withdrew from Himachal on September 29, with the state recording a deficit of 27 per cent, officials said. In the last four months, the state received 101.1 mm (2 per cent less than normal) rainfall in June, 193.3 mm (38 per cent less) in July, 272.7 mm (6 per cent less) in August and 56.8 mm (60 per cent less )in September. The city area of Dharamshala and Shimla recorded 2781.0 mm and 1052.9 mm rains during the monsoon season. A total of 51 days saw heavy rainfall this monsoon. In June 6 days had heavy rainfall, 20 days in July, 19 days in August and 6 days in September. The heaviest rainfall in a day was recorded at 217.0 mm in Nadaun on August 12.